The 370 certified chainflex cables are the only DNV GL approved cables for e-chains in the offshore market. Offshore companies involved in operating oil rigs, gas production facilities, wind farms, port facilities or ship cranes face challenges since these applications at sea have very special requirements for secure energy and data transmission. igus is the only manufacturer to develop, test and certify cables in accordance with DNV GL for use in maritime energy chains. Today, Treotham customers have access to more than 370 control, servo, motor and robot cables as well as bus, data, encoder and fibre optic cables for the safe operation of maritime applications. igus chainflex cables from Treotham help companies guarantee the necessary energy and data supply, thereby offering significant cost savings. This starts with straightforward planning using the approved cables, continues with simple installation and ends with smooth and maintenance-free operation in extreme conditions. 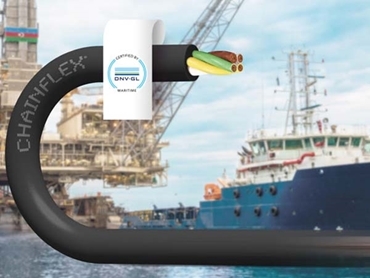 Offshore companies and their suppliers that are thinking of expanding their renewable technologies or preparing their merchant fleets for the future, now have more than 370 DNV GL certified cables available from Treotham. 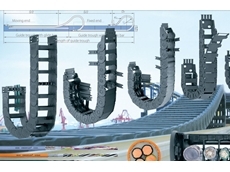 These are designed for highly dynamic use in energy chains for safe operation at sea. 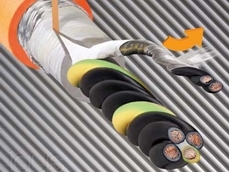 Together with the DNV GL, igus has developed completely new test methods and standards for dynamically used cables in e-chains. In addition to the extensive testing procedures in accordance with DNV GL, the cables have also been tested under real conditions in the igus test laboratory spread over an area of 2,750 square metres. 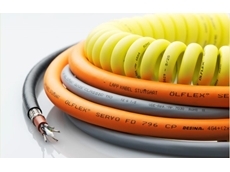 These cables, therefore, have a unique guarantee for up to 10 million strokes in energy chains, are flexible in terms of operating temperatures down to -40°C and are also UV-resistant. In addition to displaying seawater resistance, the cables also operate reliably under the influence of oil. The cables are resistant according to MUD NEK606, which enables maintenance-free pumping on drilling rigs, and also ensures operator safety. 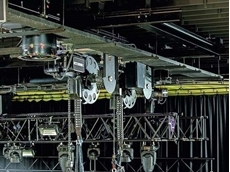 Specially designed for movement in e-chains, the cables reliably carry out their tasks there, regardless of the length of travel or the load to be moved. 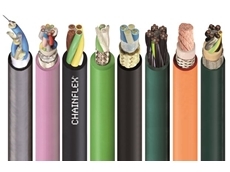 With chainflex cables, plant constructors enjoy maximum freedom for the design of cables and energy chains since there are virtually no limits to the application areas – whether underwater or on the surface, in permanent sunshine or in prolonged cold. 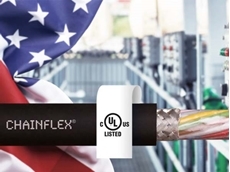 The use of approved chainflex cables means safe and stable operation of offshore installations for all those responsible for the proper running of a facility in shipyards, equipment suppliers, general contracting or manufacturing companies. 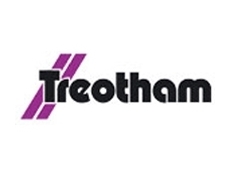 Treotham offers onsite consultations to customers where they can design, supply and service igus chainflex cables and e-chain systems.